Wall-to-wall catering, a roaring fire, comfy sofas – the perfect way to relax after hitting the slopes on a family ski holiday. 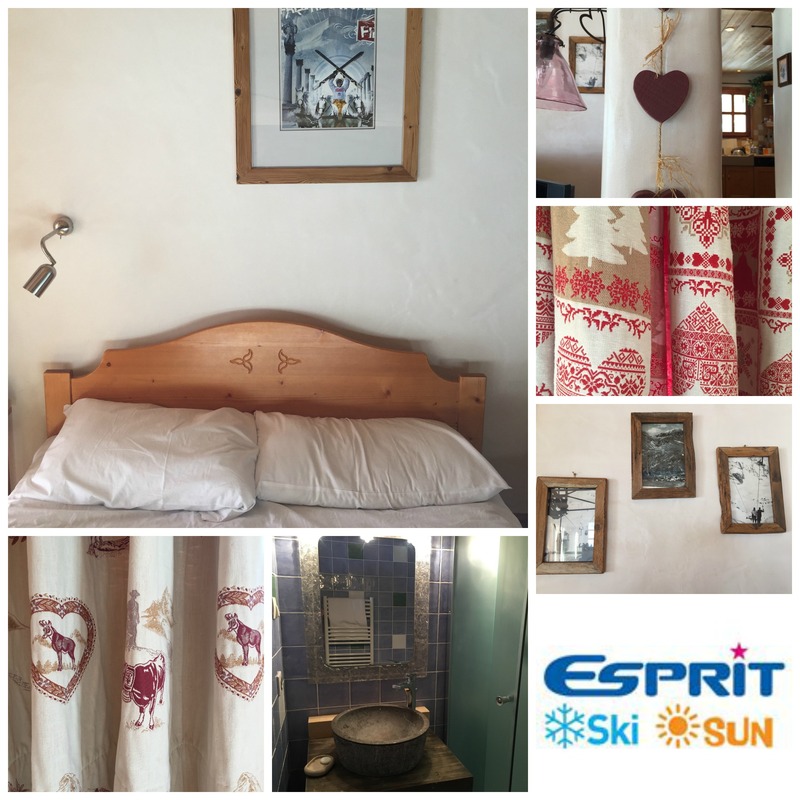 When you go skiing with young children, the quality of your accommodation is just as important as the childcare (you can read my review of Esprit childcare here, but in summary, we were very pleased). If you’re like us, you’re more likely to stay in in the evening, to rest the old aching limbs, so the apres-ski largely involves supping wine on the sofa, grunting slightly when required to move in any way. 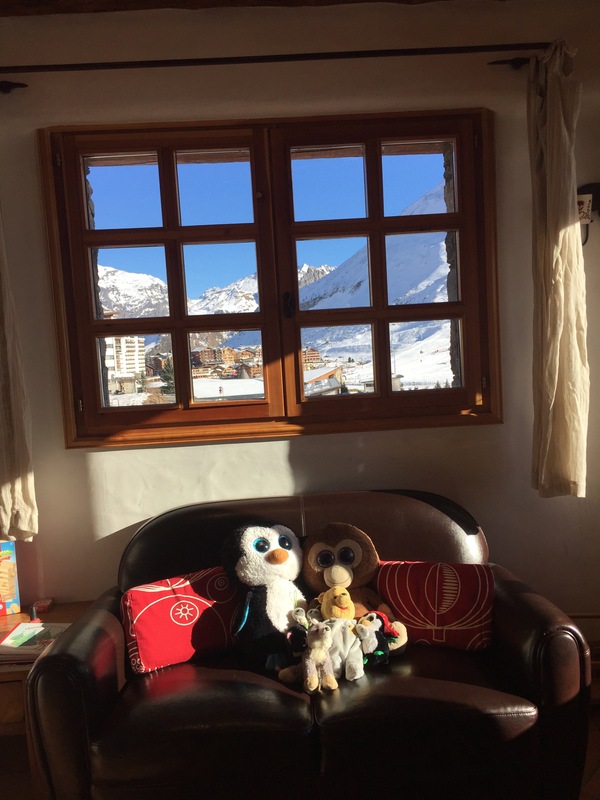 There also needs to be space for the kids to play, the food needs to suit them and the chalet staff need to be child-friendly – all of which we found at Esprit’s Chalet Charline in Tignes in December. This chalet is notably large compared with many we looked at and we really appreciated the sense of space. It is decorated in the traditional Alpine style, with some lovely little touches that I’ve captured below. The sitting room is the perfect lay-out, with plenty of seating for all of us and a lovely big open fire. 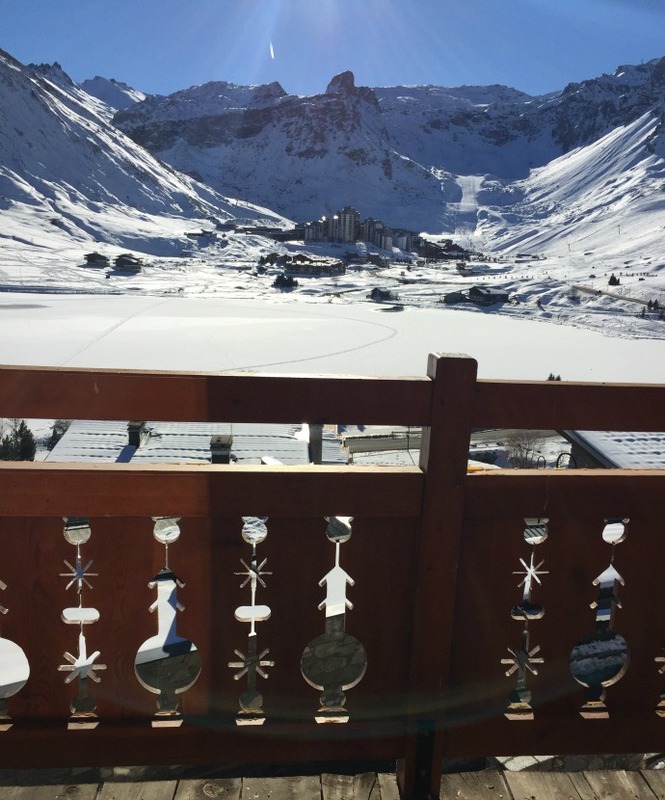 Chalet Charline is brilliantly situated for the childcare chalets, with the nursery and snow and cocoa clubs (cocoa club is the optional evening kids club) a minute’s walk away. The ski lifts are a short walk down the hill, less than ten minutes at adult pace. If your child is taking ski lessons and booked into Esprit childcare, he or she is taken down to the meeting point by the ski lifts in a jolly, singing crocodile with all the other children and several nannies / childcare leaders, which takes the pain out of the morning walk completely. Having looked through a number of other Esprit chalets, they all look similarly well situated in Tignes and elsewhere. We travelled with our friends, two families of four (we are five), and all our bedrooms were a great size, with double beds in all the adult rooms and a bathroom per family. 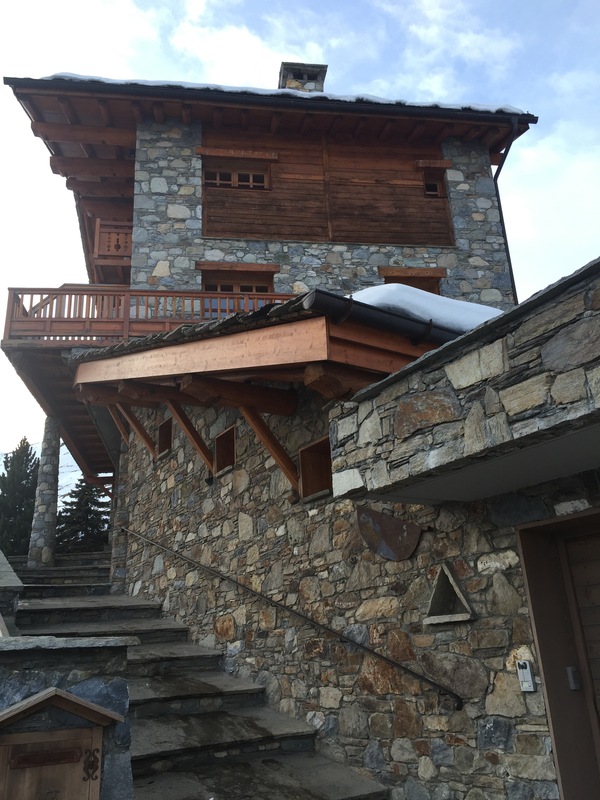 The bedrooms were set over the top two floors of the chalet, which we appreciated as there was no drawing the short straw for a room off the sitting room or the entranceway, as can often be the case with skiing. Another big plus for this chalet is that there is a separate play room just off the open-plan living area, where we could put on a DVD (using our own player, the chalet has one in the main sitting area but not in the playroom) while we enjoyed an aperitif before dinner. 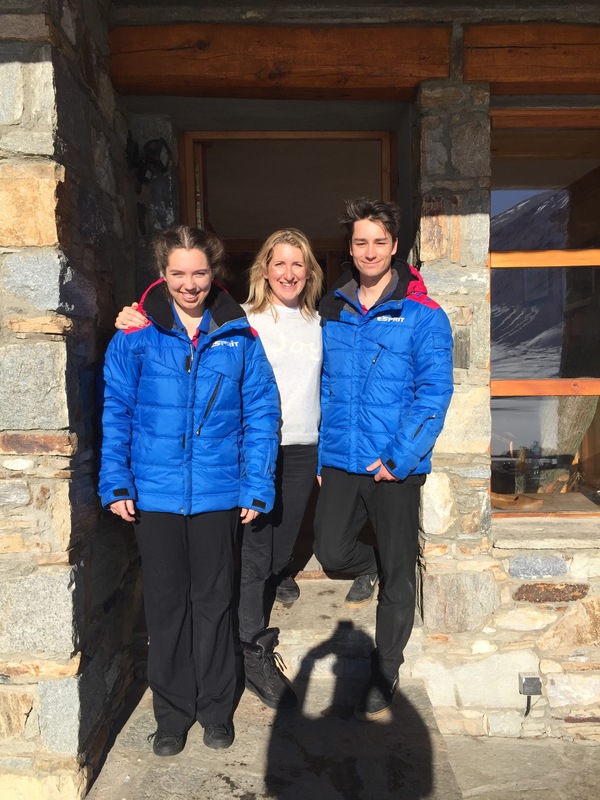 Our chalet hosts, Chloe and Aidan, couldn’t have been more helpful and friendly. They always greeted the children with a cheery smile and were happy to serve their food just so – with ketchup at the ready at all times! I really appreciated how the chalet was kept clean and tidy all through our stay, particularly how everything was neatened up (beds remade etc) while we were out skiing. Chloe even arranged all the children’s toys differently each day to greet them when they came home. I’ve always hoped the Tidy Fairy existed, and it was nice for a week to have her visit. The joy of a ski holiday for me, almost more than the skiing, is not having to lift a finger in the kitchen all week. 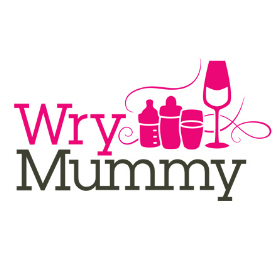 It’s so nice to come down to a laden breakfast table in the morning, be offered juice and your choice of fry-up, and relax into the day – as much as you can do with three children to tog up for ski school by 8.30. 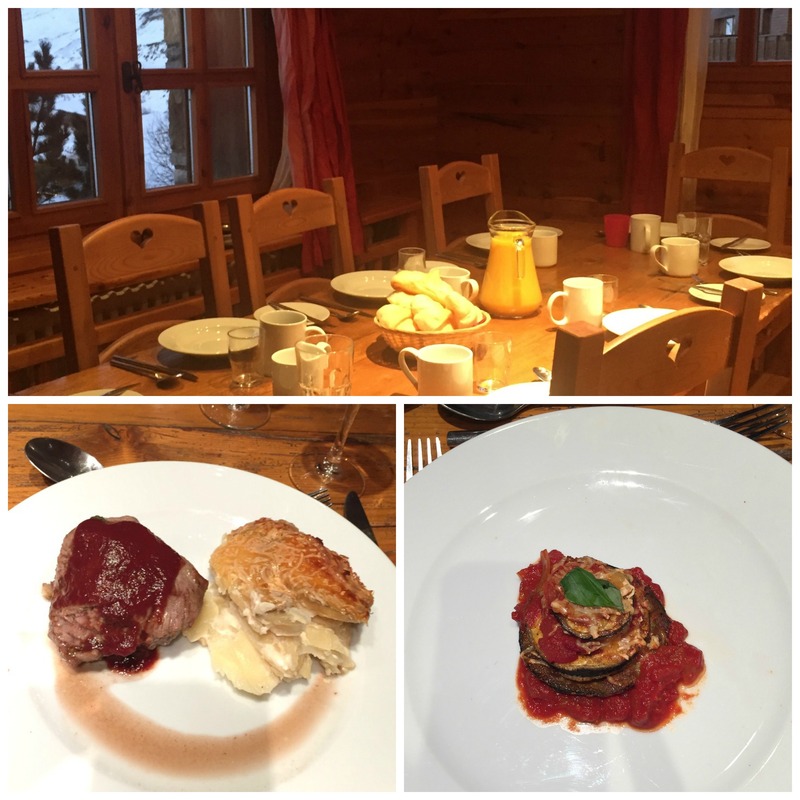 As with most chalet accommodation, lunch is not provided – which is fine as Tignes and the surrounding mountains offer plenty of choice from savoyarde to burger and chips to a croque monsieur. After working up an appetite in the afternoon – and sampling a cheeky beer on the way home – it’s bliss to come back and find a freshly baked and iced cake ready for us to enjoy as we collapse on the sofa before the children got home. The only thing to trouble yourself with is whether to let the children have a bit of cake too with their tea being served at 5.30. My boys are always hungry and after skiing all day, I was happy to let them dig in, otherwise I advise you to hide the cake before they get in! If you have opted for afternoon childcare, your little angels are supervised by their nannies at tea, leaving you free to go and have a shower or relax with a drink. Wine is provided with dinner, but we bought beers for such early evening moments, which we kept chilled on the balcony. 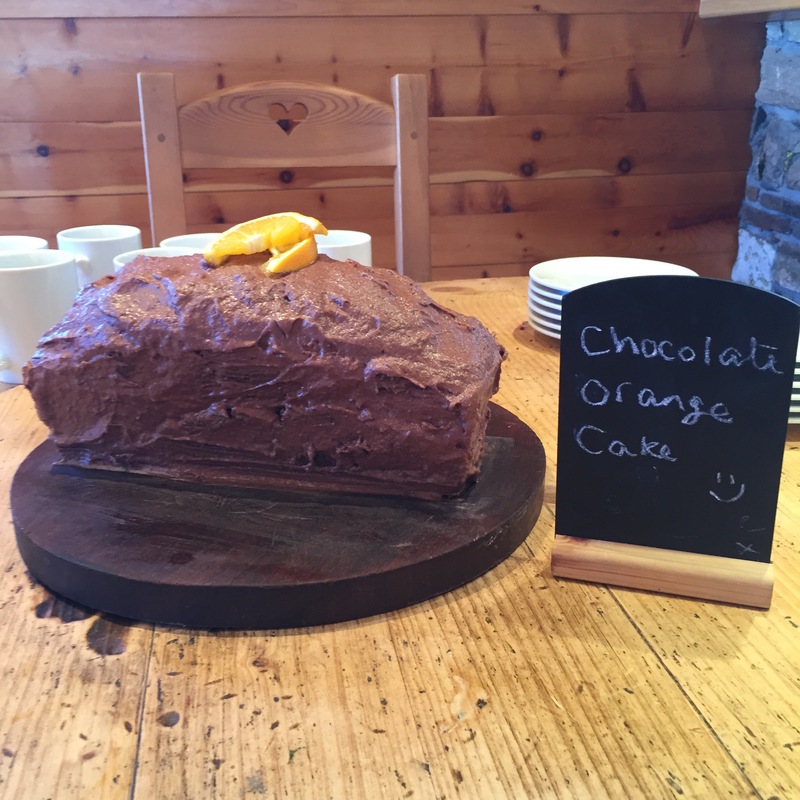 Children’s tea went down very well every day, with a range of vegetables offered every day with popular dishes like sausages and mash, cottage pie and chicken pie. There was a pudding every day (as well as the cake, if they hadn’t had some already), and the fruit bowl is kept stocked for a healthier choice. While we started putting the children to bed, Chloe and Aidan got cracking on the main event of the day: the four-course evening meal. This was a highlight of the holiday for all of us – every night brought another delight, served with red or white wine. 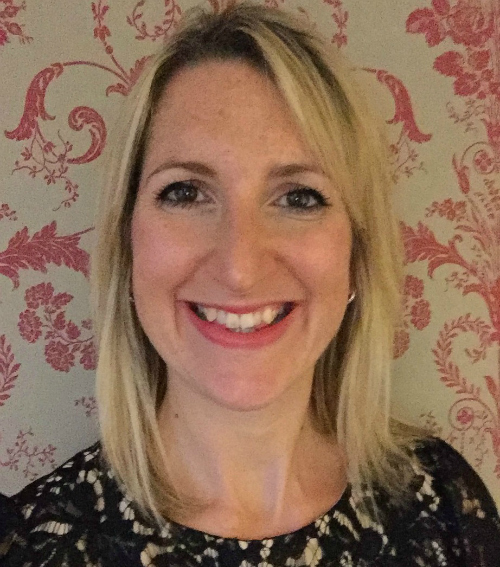 As a veggie, I often get sidelined at mealtimes, but I was really impressed with my meals every day – there wasn’t a cheese omelette, mushroom risotto or goats’ cheese salad in sight! These are all perfectly nice meals, but if you’re veggie, you’ll know that this is the default option offered by most places and it gets a little dull! We started the evening at 7.30pm with an aperitif (different every night) such as peach prosecco, and homemade canapés – the warm cheese straws were my favourite. Dinner was served at 8pm, but the hosts were very accommodating – if the children were still needing attention they would hold off until we were ready. We then enjoyed our three-course meal – all homemade, with a delicious starter and bread basket to begin, followed by a main course and pudding. Even though we were pretty full by then, we couldn’t resist the yummy desserts, ranging from a pannacotta one day to a warming apple crumble and custard the next. The table set for breakfast early in the morning; the delicious meat and veggie main course on our last night. It was such a complete treat to be catered for all week, and Aidan and Chloe couldn’t have been better hosts. They were both extremely polite, attentive and willing to help and I was very impressed by their professional and mature attitudes, particularly since they are so young (both were on gap years after school) – compared to me anyway (in the extremity of my 30s!). 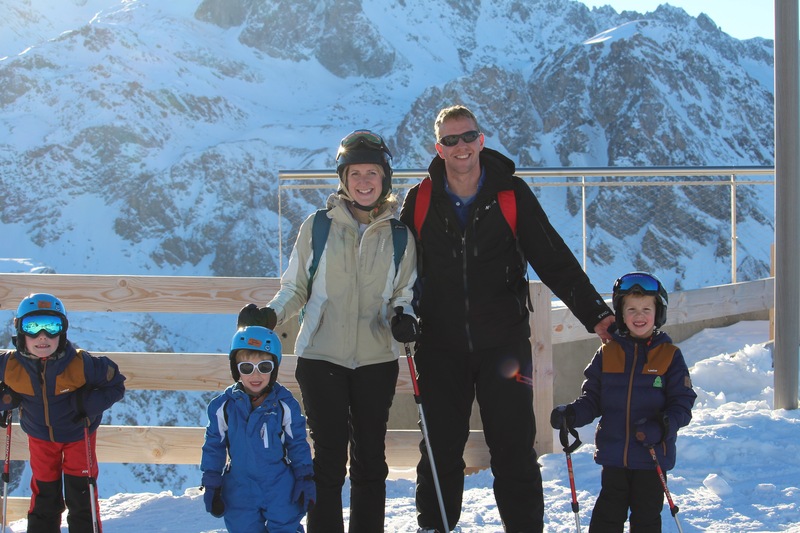 I wouldn’t hesitate to recommend Esprit for a family ski holiday. If you are skiing at Easter or next season – have a wonderful time! Note: I have an ongoing collaboration with Esprit; however, we paid the full price for our accommodation and this is my honest and unbiased opinion of our holiday. Previous articleHow Do You Know If Your Face Cream Works? 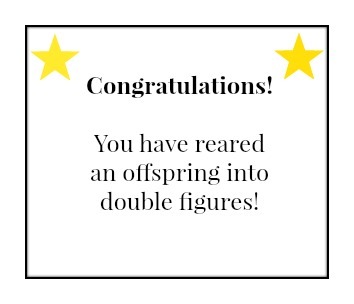 Thanks for sharing your info. I really appreciate your efforts and I will be waiting forr our next post thank you once again.